When it comes to servicing your Jeep SUV, there's no better place than your local, fully certified Jeep dealership to get the job done. Head over to Rockie Williams' Premier Dodge Chrysler Jeep Ram near Murfreesboro, Tennessee for all your Jeep maintenance needs! Our one-stop-shop offers warranty maintenance, genuine Mopar parts, and a suite of options like WiFi and shuttle services to make your wait a breeze. We even have a 3,000-gallon fish tank to keep the children busy. Discover more about what makes our Jeep service center great by taking a quick trip down to Rockie Williams' Premier Dodge Chrysler Jeep Ram! 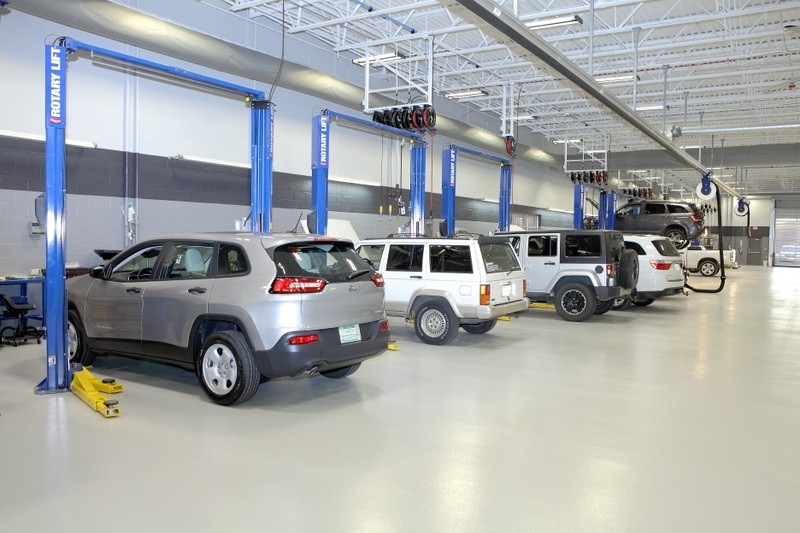 Service your Jeep vehicle at your trusted Murfreesboro, TN Jeep dealership. Our Jeep service options range far and wide here at Rockie Williams' Premier Dodge Chrysler Jeep Ram near Murfreesboro, TN. For regular maintenance, we'll cover tire rotations, oil changes, fluid replacements, and general diagnostic tests. More serious issues are no sweat for our team either! Contact our friendly auto service team near Murfreesboro, TN for collision repair, brake service, transmission work, engine service, radiator replacement, exhaust fixes and more! Scheduling an appointment with us couldn't be easier. To set up your next Jeep service check with Rockie Williams' Premier Dodge Chrysler Jeep Ram near Murfreesboro, TN, give our team a call or stop by in person. We look forward to getting you and your Jeep SUV back on the road in no time.